Summary: A sermon examining the great change that God's grace brings into our lives. The benefits that God graciously bestows upon His children are innumerable. 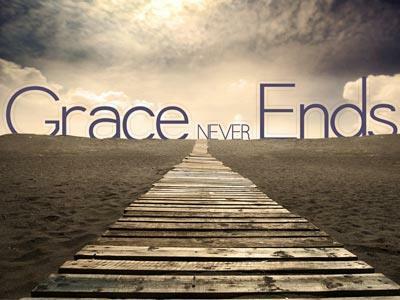 God's grace is the source of our salvation, our eternal life and our promised home in Heaven. 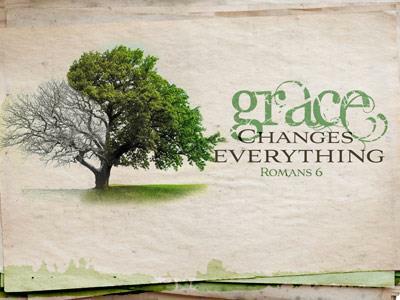 God's grace is evident in our lives on a daily basis. It is through His grace that we receive direction, protection and satisfaction. There are many blessings that come as a result of God's grace. Today I would like to consider a few of those blessings and preach about "What Happens When You Encounter Grace". The story of Ruth is one of the most beautiful illustrations of grace that you will ever hear. In verses 1-3 of this chapter Ruth sets out to glean in the fields in order to provide food for herself and her mother in law Naomi. When she left that morning she was hoping to find grace. Verses 4-16 tell us that she found grace in a man named Boaz. Boaz extended grace to this stranger from Moab, and when he did, Ruth received more than she could have ever imagined. God has extended His grace unto us, and because of His grace we receive countless blessings in this life. v4 And, behold, Boaz came from Bethlehem, and said unto the reapers, The LORD be with you. And they answered him, The LORD bless thee. 5 Then said Boaz unto his servant that was set over the reapers, Whose damsel is this? 6 And the servant that was set over the reapers answered and said, It is the Moabitish damsel that came back with Naomi out of the country of Moab: 7 And she said, I pray you, let me glean and gather after the reapers among the sheaves: so she came, and hath continued even from the morning until now, that she tarried a little in the house. Boaz arrived at his field and greets his laborers saying "the Lord be with you". Then he notices a young woman gleaning corn in his field. He asks the foreman, “Whose damsel is this?” Ol Boaz was intrigued, he looked at Ruth and said "WOW.... who is she???" This is one of those love at first sight Hallmark movie moments! Boaz told Ruth where she should go. It is apparent that he had her best interests in mind. He wanted her to abide with him, he did not want her to glean in the field of another. Ruth doesn't know it yet, but Boaz has plans to take care of her. If she will abide in his field, she will enjoy the best he has to offer. God has always had a way of leading His people. He led the Children of Israel with a cloud during the day and a pillar of fire by night. He led the wise men to the Lord Jesus by the light of a star. God leads us through His Holy Spirit. The Holy Spirit indwells every believer and He leads, guides and directs our lives. However, it is our responsibility to follow His leading. If we follow God's direction, we will always be in the center of His will. It is His desire that we abide with Him. Just as Boaz did not want Ruth gleaning in the field of another, God does not want His children looking for satisfaction in the things of this world. It would have been foolish for Ruth to leave Boaz's field and to go and glean somewhere else. No one would protect her like Boaz, no one would provide for her like Boaz, no one would care for her like Boaz. In the same way, it would be foolish for a child of God to leave Him and to go and abide in this old sinful world. Some have made this foolish decision, but they will learn that no one can protect them like God does, no one will provide for them like God does, and no one can love them like God. A sermon examining the great change that God&#39;s grace brings into our lives.